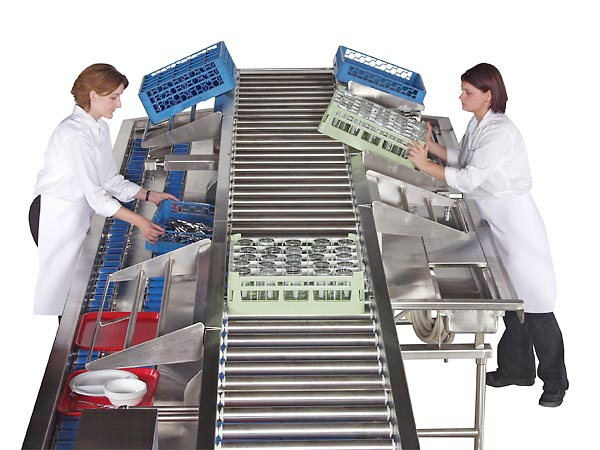 Low friction drive powered rollers allow ease of dish rack transfer and staging on multiple levels. The Powered Roller Rack Conveyor can also turn corners on 36″ center line radius. 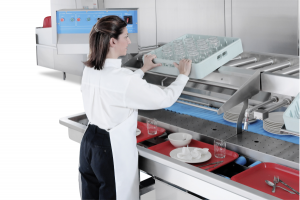 Effective layouts can be designed combining both powered and gravity rollers, carrying dishracks automatically to the dishmachine. 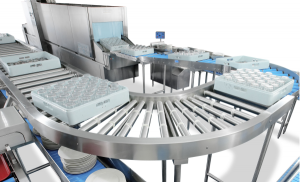 Slanted shelves are mounted on the Powered Roller Conveyor, giving the operator a convenient location for cup/glass racking.